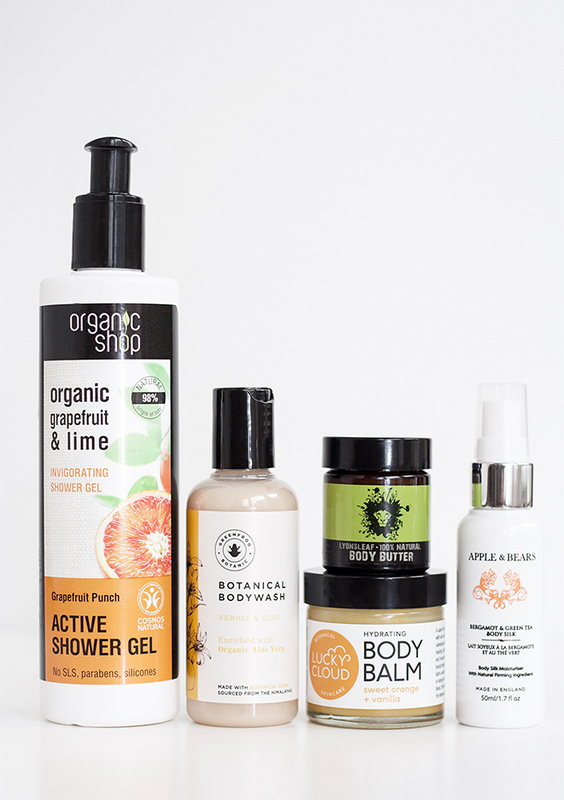 Thank you, Germany, for creating yet another lovely organic beauty brand! 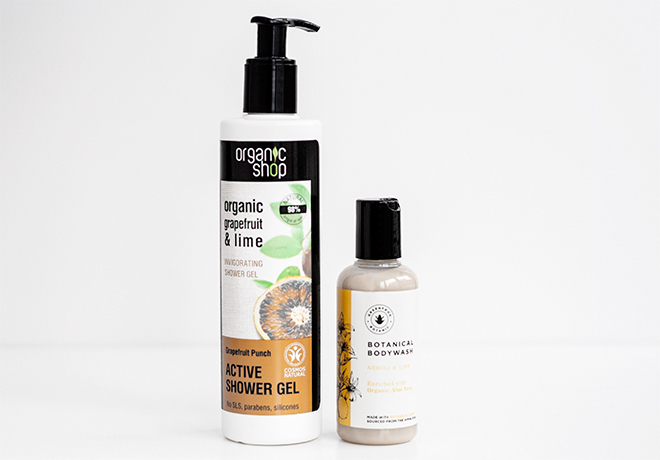 I’ve been eyeing Organic Shop for quite some time, so when I was in need of a shower gel, I chose this Invigorating Shower Gel, made with grapefruit and lime extracts and lemon peel oil. The scent doesn’t have anything to do with citrus, but it’s still a pleasant, candy-like aroma. I especially like the texture – a perfect gel, which is not too runny or too thick. The shower gel leaves my skin clean and comfortable. Overall, I’m satisfied with the product and curious to try more goodies from the range. I received this body wash with LoveLula’s February Beauty Box, but it had to wait its turn until just recently. I want to start by saying that the scent is fantastic! It’s a mild mix of neroli and lime, and both notes are clearly detectable. This is a cream cleanser with medium thick consistency with the main ingredient being the Himalayan soapberries (also called soap nuts). Soapberries claim to be gentle and effective cleansing ingredient, especially suitable for skin with concerns such as various rashes or eczema. This body wash also contains aloe vera for additional hydration. Although I still need to use a body moisturizer after taking a shower with this body wash, I like it a lot for its lovely scent and its good cleansing abilities. I have already reviewed this Body Balm, and there’s almost nothing left in the jar, but I still could not resist to include it one last time in my body care routine before I finish the product. You can read a more detailed review here, but to sum it up real quick – this is one of the most impressive body care products that I’ve discovered in this past year. An ultra lightweight body cream for all skin types that comes in a luxurious pump bottle. I think the name is perfect for this product because my skin feels soft and silky after application. The Body Silk does provide a decent amount of hydration, but sinks in fast and leaves the skin completely matte. If this sounds like something your skin would like, but you’re still not sure, consider getting a sample. This body butter is the heaviest, most moisturizing product from the bunch, and, therefore, is mostly suitable for dry, thirsty skin. It has a delicate coconut scent, which does not linger long after application. For such as rich cream, it does sink in pretty well. Though you still need to wait some time until you can get dressed in the morning, if your skin is dry, it might be worth the wait to get soft, moisturized, and glowing skin. What’s your all time favorite body cream/oil? Have you tried any of these products?